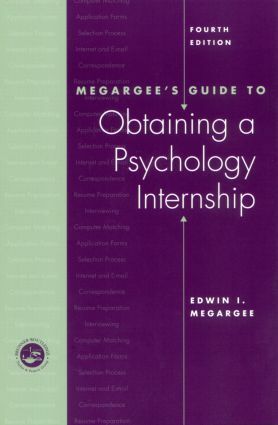 Megargee's Guide gives students essential information about the internship selection process, including updated material on the computer selection process that was implemented by the Association of Psychology Postdoctoral and Internship Centers (APPIC). Also included is a discussion of new standardized set of application forms that have been adopted by most internship sites; the disparities between internship supply and demand; and the rules governing internship selection. It also provides practical information such as a four-step process for preparing a resume and tips for preparing for interviews.